Out of the bajillion LEGO games that Traveller’s Tales have released out in the wild, my personal favorite has always been LEGO Harry Potter. While I certainly enjoyed playing a handful of LEGO games before it — Star Wars and Batman spring to mind — there was something truly magical about seeing the Harry Potter stories remade in the style and humor that LEGO games are known for. 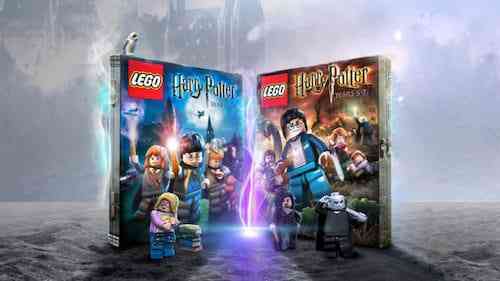 Originally released in 2010 and 2011 as LEGO Harry Potter: Years 1-4 and 5-7 respectively, both games have been remastered for modern consoles on a single disc. And while it doesn’t quite have the shine and polish of recent LEGO games, I was still pleasantly surprised to find that both entries stood the test of time. If you’re a diehard Potter head, you owe it to yourself to pick this compilation up. 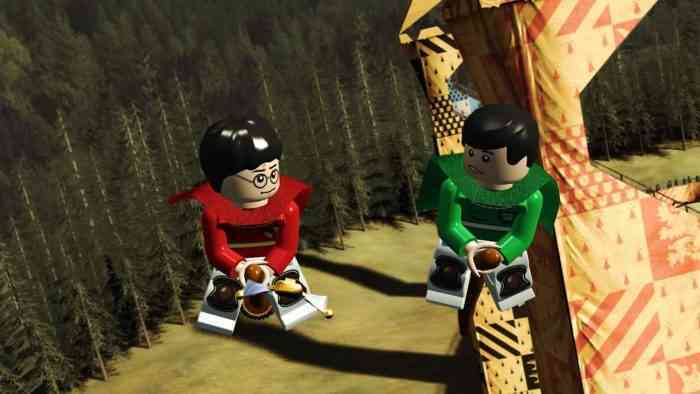 As you can probably guess, The LEGO Harry Potter Collection is an ambitious effort to adapt all eight Harry Potter movies into LEGO form. From Harry’s first walk through Diagon Alley all the way through to his final battle with Lord Voldemort, this is a complete retelling of J.K. Rowling’s epic fantasy story but in a more lighthearted and comedic presentation. Both games were released before TT Games began adding full voice acting to their games, instead relying on visual storytelling and non-verbal expressions from its characters. I actually preferred this method anyway, which tends to add a lot of unexpected personality and humor to the games. 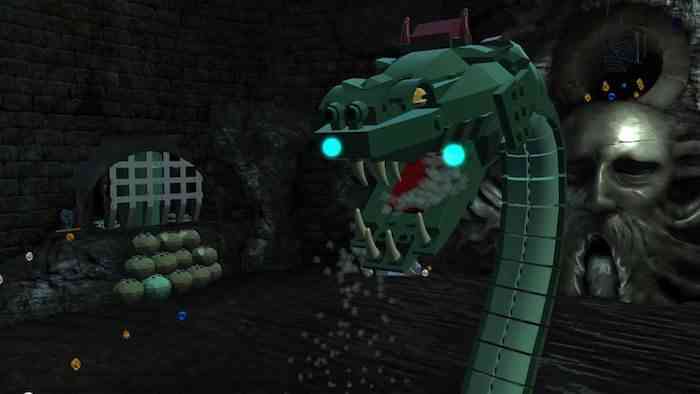 It’s easy to forget that with LEGO Harry Potter, TT Games made their first big attempt at creating an open-world format for their games. Instead of a single location that merely exists to connect each level, Hogwarts is a gigantic hub to explore full of secrets and collectibles. As you progress through classes and learn new spells, you’re able to access new areas that were previously inaccessible. This most certainly is not a Metroidvania, but there’s still that same sense of accomplishment that comes from finally acquiring the right tool, in this case, a spell, for the job. Spells aren’t just used for unlocking things, they’re also used in combat or for puzzle-solving. Thanks to a handy spell wheel, it’s easy to swap between learned spells on the fly. In many situations, you’ll need to switch to them quite frequently too. For example, you may need to use Lumos to reveal a path that was blanketed in shadow then use Incendio to fend off some enemies, then use Wingardium Leviosa to move some platforms around to access the next area. 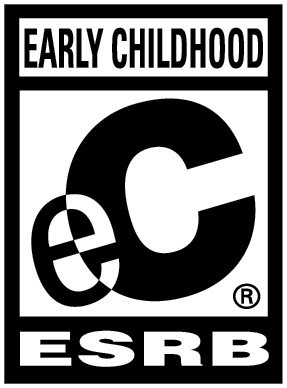 While that may seem like a lot for a family friendly game, it’s really not as overwhelming as it sounds. Like with all LEGO games, there aren’t many difficult sections and there are plenty of hints given to the player if the solution isn’t immediately apparent. 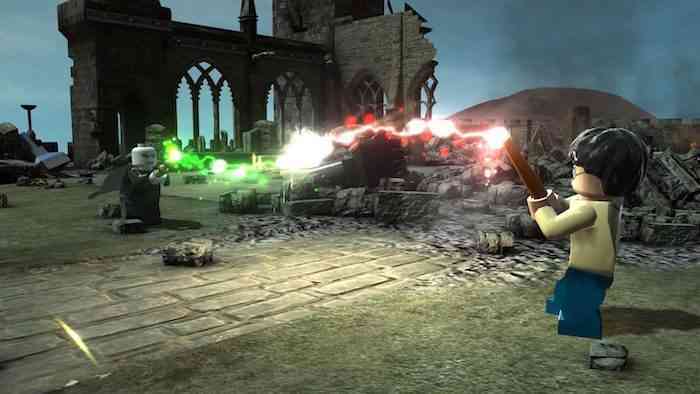 While there isn’t any online co-op to be found, LEGO Harry Potter does support local split-screen multiplayer. Using the same unique split-screen technique that was introduced in LEGO Indiana Jones 2: The Adventure Continues, playing with a friend is probably the most ideal way to play. If both players choose to separate from one another to go off and explore, the screen will split in two. Then, when both players are united, the screen will shift back together. This has always been one of my favorite features in LEGO games and it’s nice to see that it was implemented so well and so early in the LEGO franchise’s lifespan. As far as value goes, this two-game package is jam-packed with content. Each year at Hogwarts is brimming with tons of stuff to do and collect. We might be slightly off with our count, but there are over 350 characters to unlock, 400 gold bricks to find, 48 house crests to collect, and 40 red bricks to nab. On top of that, there are over 100 students that are in peril scattered around the Wizarding World for you to help. Sure, LEGO games are notorious for padding themselves out with meaningless stuff to collect, but when the overall level design is this good, it makes going back to find some of this stuff less of a chore than it normally is. With that said, going for a full 100% completion is entirely optional. Simply burning through to the next story section still takes a bit of time. Overall, it’s safe to say that there’s enough here to keep you and the kids busy a long, long time. If you’re someone who has already played the original versions back in 2010 and 2011, then you may be wondering if it’s worth double-dipping on The LEGO Harry Potter Collection. Aside from some nice technical enhancements including a higher resolution and better lighting, this is more or less the same two games that released eight years ago on PS3 and Xbox 360. As a bonus, the bundle does include the two previously released DLC packs including a Character Pack and Spell Pack. The former features Godric Gryffindor, Harry (Yule Ball), Helga Hufflepuff, Lockhart (Straightjacket), Luna (Lion Head), Peeves, Hermione (Pink Dress), Ron Weasley (Ghoul), Rowena Ravenclaw and Salazar Slytherin. The latter features Cantis, Densaugeo, Ducklifors, Melofors, and Tentaclifors. The DLC, while a nice addition, shouldn’t be the main reason to buy this game but if you’re itching for some Potter goodness — especially in light of the new Fantastic Beasts movie coming out— now would be a wonderful time to revisit the game. Despite later LEGO games being more polished and streamlined, LEGO Harry Potter holds up surprisingly well. Even though it’s starting to show some cracks in a few areas, this remastered collection cleans things up quite nicely. In fact, they’re some of my favorite LEGO games Traveler’s Tales have ever released thanks to its excellent use of the license and some truly solid level design. It’s still a ton of fun playing through Harry’s seven years at Hogwarts, and until Warner Bros puts out a truly original Potter game, The LEGO Harry Potter Collection is the best Potter game fans can buy.